I fell in love with martial arts movies at a very early age not knowing the difference between kung fu and wuxia. You see, Bruce Lee movies was all I had at the time. Eventually Jackie Chan movies captured my attention. But it wasn’t until Jet Li movies that I began to take a closer look at the difference in the story lines and fighting styles. Back then it was all lumped under the umbrella of kung fu but today, each style — Wuxia and Kung Fu — has their own appropriate place in history. 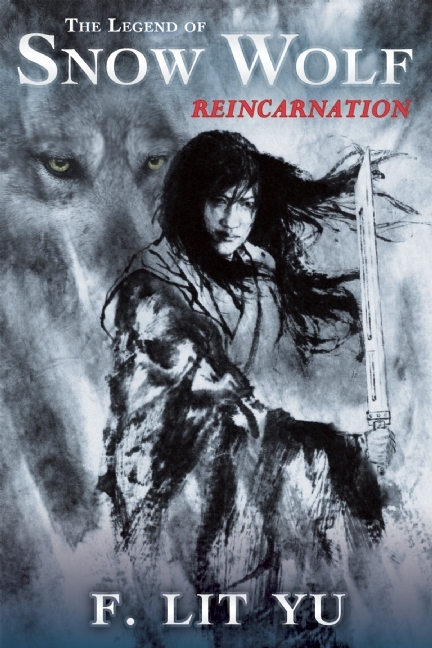 New author Fred Lit Yu certainly has set the bar high with his first English wuxia (martial arts) novel, The Legend of Snow Wolf: Reincarnation. He’s carved out a space in the fantasy arena with a superb, naturalistic tale filled with breath-taking fight scenes, twisted romances, and heart-breaking tragedies, all delicately wrapped in Snow Wolf’s legend. In the final moments of his grandfather’s life, Suthachai, a young Mongolian warrior, is left with three things: a name, a three-headed jade dragon amulet, and an unfinished tale. As he tries to piece together the mystery of his grandfather’s past, he is surreptitiously poisoned by an unknown enemy. Now, as “the greatest warrior on the Mongolian plains” embarks on a desperate quest to find the antidote before his time runs out, Suthachai becomes inadvertently entangled with the enigmatic Dragon Lodges who are embroiled in an acrimonious, long-standing feud of their own. But Snow Wolf’s plan involves more than just Suthachai and can only come to fruition if her unlikely proxy, alchemist Li Kung, accepts the task. Well written and filled with vivid details of beloved wuxia elements of supernatural powers, exceptional warriors, and a jianghu world rife with strife and conflict, The Legend of Snow Wolf is a well-paced, hard-to-put-down, refreshing novel that exceeded all my expectations and leaves me salivating for book 2 – The Legend of Snow Wolf: Redemption. This entry was posted in Books and tagged Chinese martial arts, FANTASY, FICTION, Wuxia. Bookmark the permalink. Thank you for this excellent review of a book that has taken its well-deserved place as one of my favorites. The story is superb, matched by the elegance and strength of F. Lit Yu’s writing.